Michelle Obama’s Harry Potter reaction is one of utter delight after seeing Harry Potter and the Half-Blood Prince. Prince early as the latest from JK Rowling’s series conquered the first-day release records. Remember when the Obamas made a trip to London a few weeks ago? No? Well, then check out the story here! Harry Potter star Emma Watson recently indicated that First Lady Michelle Obama said that coming to the set was “more exciting” than, well, meeting the Queen! 24 hours from its midnight opening, it raked in $22.2 million in cash. million as well as surpassing the Star Wars film from 2005 which earned $17 million. 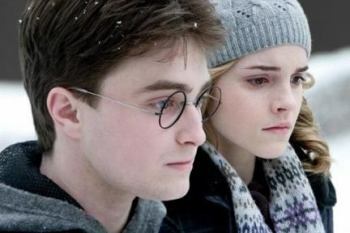 and the Order of the Phoenix raked in $12 million on its very first day of release.